Trailer and poster for live-action film “Waiting For Spring” (English title) starring Tao Tsuchiya, Takumi Kitamura and Yuta Koseki. 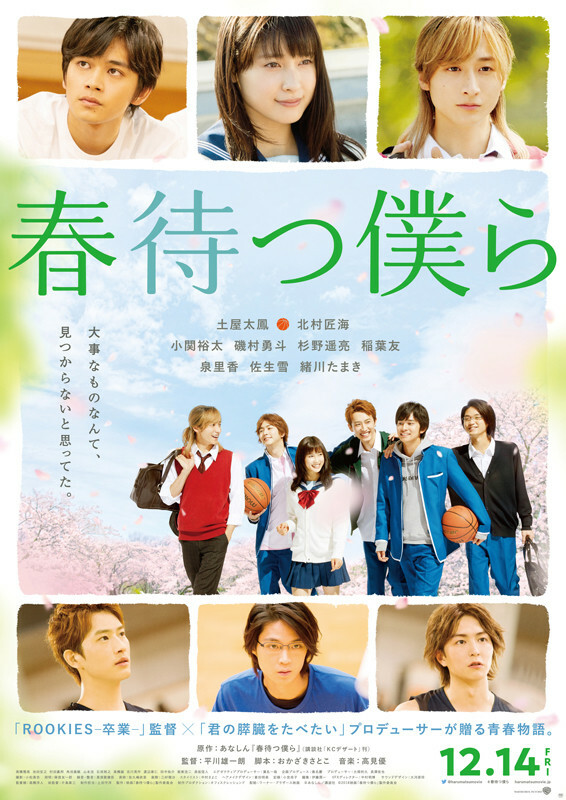 The film is based on manga series “Harumatsu Bokura” by Anashin and directed by Yuichiro Hirakawa. “Waiting For Spring” is a teen-romance film that also revolves around the sport of basketball. Another film that comes out in Japan this November is “Run! T High School Basketball Club” which also revolves around high school basketball. “Waiting For Spring” will be released December 14, 2018 in Japan.